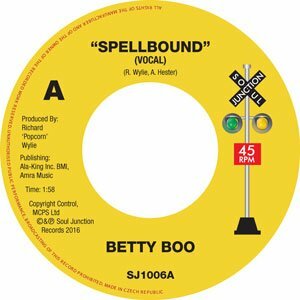 Betty Boo's Spellbound given its debut on a 45. 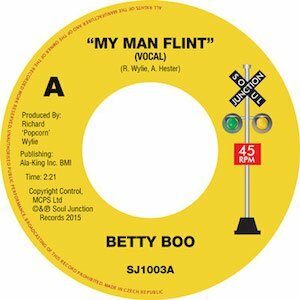 Betty Boo has been a household name on the Northern Soul Scene since the days of Wigan Casino but one who has always it seems remained a somewhat mystery figure. "Say It Isn't So" was massive back in the days off Wigan and saw a release on a 45 via Grapevine. 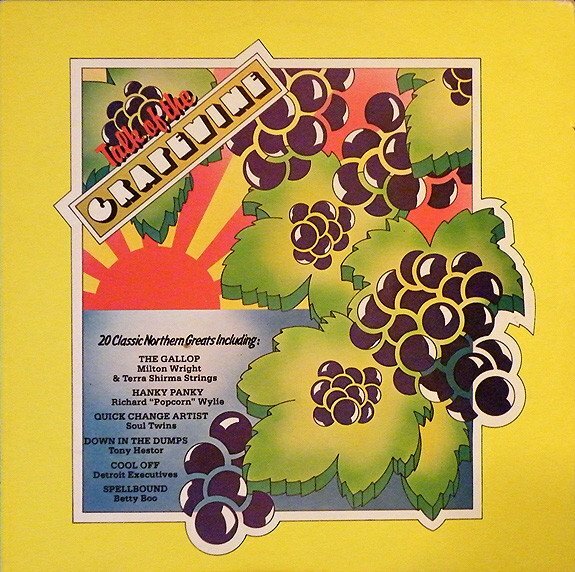 Spellbound another scene favourite and a fabulous Popcorn Wylie production only ever made it as far as "The Talk Of The Grapevine" Lp has now belatedly been given a release on a 45 via Soul Junction. Read on for the story of Betty and her impact on the Northern Soul Scene in the UK and eventually further afield. Betty Boo, real name Betty Jean Winston was born January 22nd 1945 in Detroit. She was raised with her younger sister Jacklyn (Jackie) at the family home on Hazelwood Street on the Westside of Detroit. 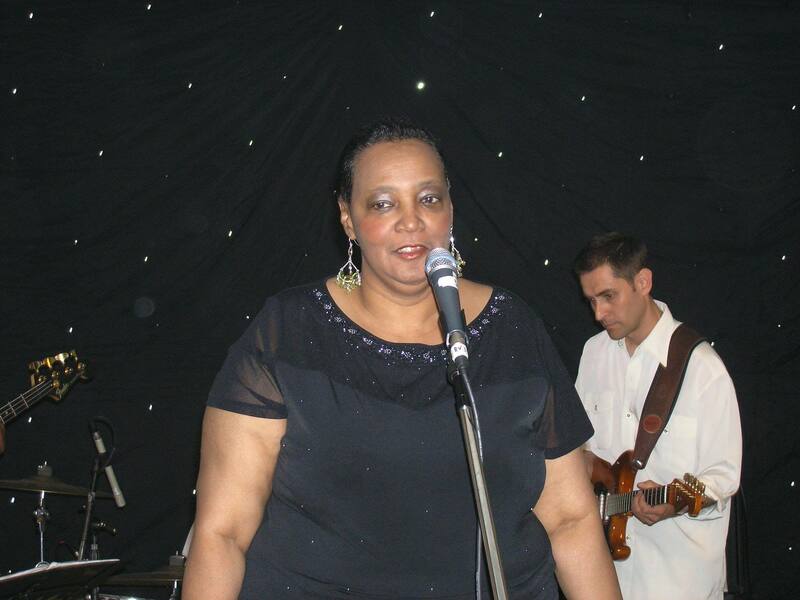 Betty began her early singing career as a backing singer at Motown and was later joined by her sister. While at Motown Betty was to meet Bob Hamilton (A.K.A Bob Recco). Bob was to be very influential in Betty’s early recording career, employing both her and Jackie initially as a session singers at Motown, then taking them with him when he moved over to Correctone Records and on to Continental Records. It was while at Continental that Betty first met up with Popcorn Wylie. 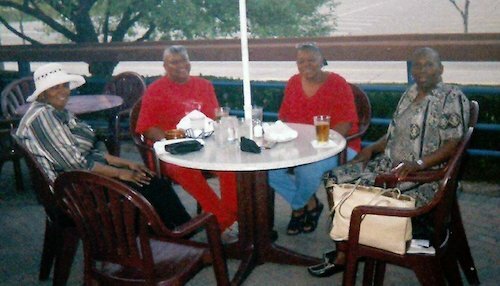 When Bob and the other Hamilton brothers, Eugene (Ronnie Savoy) and Al (Kent) together with the late Hermon Weems joined Ed Wingate's Golden World Records, The Winston sisters found themselves being reunited with another pair of sisters, their fellow neighbourhood friends from Halewood Street, Pat and Diane Lewis. This reunion would lead to the formation of the all girl group ‘The Adorables’. At Golden World the two pairs of sisters recorded during an eighteen month period three 45 singles firstly in 1964 “DeepFreeze/Daddy Please’” (GW -4) followed by “School’s All Over/Be’” (GW-10) and finally during 1965 their northern soul tour de force “Ooh Boy/Devil In His Eyes” (GW-25). Although Betty sang on every recording session she wasn’t present on the group’s only TV appearance on the Robin Seymour Show as she was heavily pregnant with her second child at the time. Following Berry Gordy’s eventual buy out of Golden World, ‘The Adorables’ disbanded as a performing group with Pat and Diane going onto record as solo artists and later as a part of Isaac Hayes Hot Buttered Soul Project. 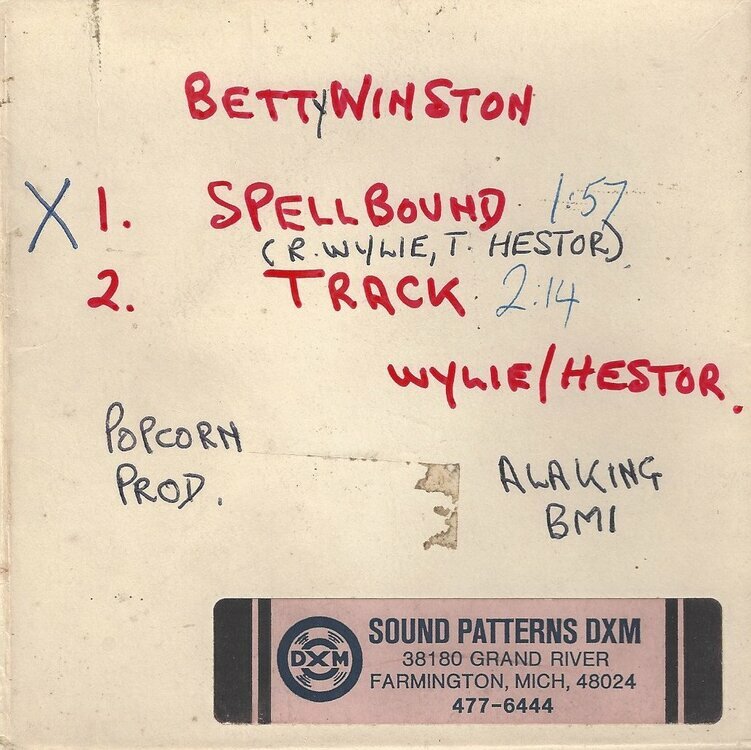 The Winston sisters also briefly performed as a duo while continuing to do session work for Popcorn Wylie. It was during this period that Betty recorded several excellent unissued sides under the artist name credit of Betty Boo (T). The name Betty Boo arose from the nickname that Betty was given by her mother following her birth. Following her mother’s initial sighting of her newborn child she turned to the other assembled family members and announced that Betty’s posterior was the largest bootie she’d ever seen on a newborn baby !, so Betty’s Boo (T) she became ! Although credited as just the solo artist Betty Boo (the lead singer), all three of the other former Adorables actually feature as un-credited backing vocalists on both “Say It Isn’t So” and “Spellbound”. The 1960’s film industries obsession with cold war espionage would give rise to a plethora of super spy’s and secret agents films and TV series. The British had James Bond, and the Americans amongst many others had one Derek Flint, a suave and sophisticated Master spy (played by actor James Coburn) who featured in two spoof spy films “Our Man Flint” (1965) followed by “In Like Flint” (1967). Flint’s undisciplined philandering demeanour although causing great annoyance to his spy master boss Lloyd Cramden, played by Lee J. Cobb would always be outweighed by his ability to save the western world from being held to ransom by some evil clandestine organisation. 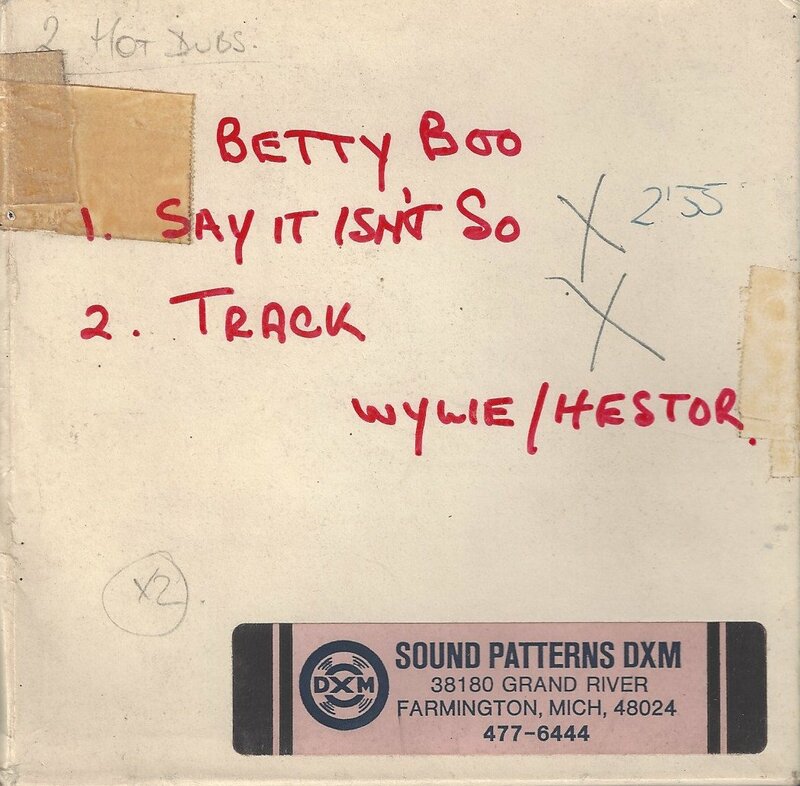 Partners in crime metaphorically speaking Hester and Wylie hit on the idea of recording a theme song for the second Derek Flint film, so Betty Boo’s “My Man Flint” was recorded and submitted for consideration, but unfortunately never accepted. The big screens loss would eventually decades later become the Northern scene’s gain via Soul Junction’s eventual release of “My Man Flint”. Which featured both Betty and Jackie Winston on backing vocals, with Betty’s Lead vocal’s later being laid over the top. Betty continued to work for Popcorn singing commercial jingles through the now infamous riots of 1967 into 1968, after which time she took a job as a receptionist at Brodie Mufflers, a job which only lasted a year. When following a robbery at the store, the manager’s son accused Betty of being a party to the crime (which of course she wasn’t) while aggressively wagging his finger in her face. Betty was having none of this and subsequently took a bite out of his finger! The embarrassed store manager later apologized for his son’s outrageous behaviour, but Betty chose to move on. Following a five year stint working for the post office Betty arrived at General Motors in 1976, where she worked on the assembly line until her retirement during 1982, following injuries sustained during a workshop fall. Betty’s sister Jackie later moved to Ohio to run a nightclub and bar, but following a serious aneurysm later returned to Detroit in 1988, her final residence until her death during 1995. The girls on stage at Northampton. Betty by now had carved out a career for herself as a community care worker and Foster parent, during which time she lost touch with her former Adorables partners, that was until 2005 when Pat Lewis tracked her down and Betty along with Pat and Diane came to England to perform as The Adorables at the Northampton Weekender. Today Betty in her own words is still only 71 years young and continues to be heavily involved in the fostering service as a Foster grandmother. While still keeping audiences 3650 miles and beyond from her native Detroit “Spellbound” with her music. Acknowledgments to: Betty Winston and Pat Lewis. Photographs courtesy of: Betty Winton & Rob Moss. Yes Steve it was a special night indeed. Another northern soul mystery solved. Does any video of this performance exist ? Andy. I don't recall any one recording it professionally but I'm sure someone will have footage off their phone or camera. Maybe some of the Northampton crowd will know a bit more. Dave tells me it is selling incredibly fast and likely to sell out so don't miss out. Out today, so don't delay advance sales on this title have been really good, available from all the usual outlets or direct from the Soul Junction website: www.souljunctionrecords.co.uk. A big thanks to those who have already purchased, it just shows that nearly 40 years on from it's initial discovery "Spellbound" still has the magic factor to fill a northern dancefloor. 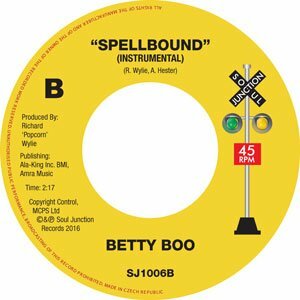 Great to see Betty's fabulous "Spellbound "now out on a 45....an essential purchase for sure ! !